The LC-WXL200A Eiki projector lamp replacement comes with a genuine original 330 watt Ushio brand bulb inside rated at 5,500 lumens (brightness equal to the original Eiki lamp replacement). The LC-WXL200A lamp has a rated life of 3,000 hours. This lamp has superior brightness and longer lamp life than other cheaper generic replacement lamps being sold elsewhere. Purchase with confidence from Pureland Supply with free ground shipping and a 180 day warranty. LC-WXL200A Eiki Projector Lamp Replacement. 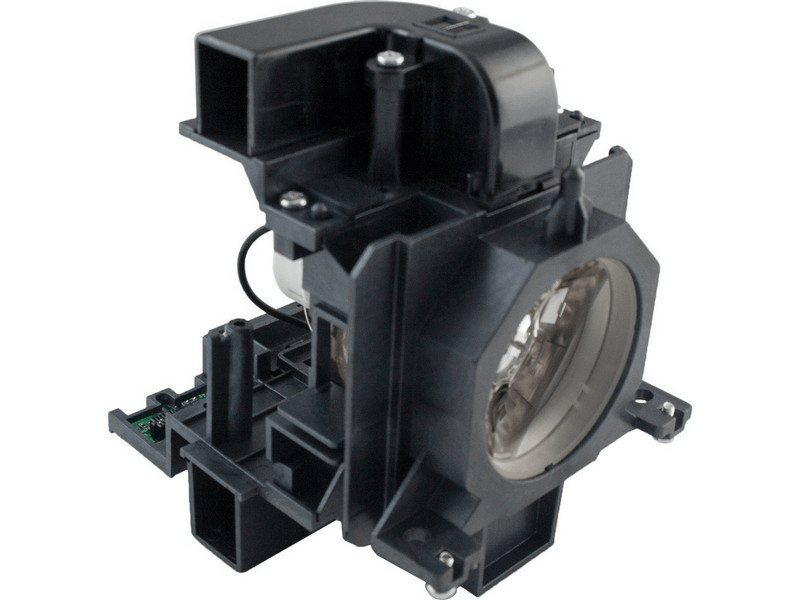 Projector Lamp Assembly with High Quality Genuine Original Ushio brand NSHA Bulb Inside. This Eiki lamp is definitely better than the previous ones we tried. We continued to have our red timer light come on after installing the ones we tried before so we had to return them. The lamp we purchased from Pureland Supply has the original bulb and the lamp timer does work properly. Very thankful to finally find a vendor that has a product that works.